Santiago Calatrava is a world-renowned architect, structural engineer, sculptor, and artist. From the Athens 2004 Olympic Sports Complex to the World Trade Center Transportation Hub in Manhattan, he exhibits a remarkable aesthetic and engineering prowess with a simultaneous sensitivity for both the appearance and the anatomy of a structure. With influences ranging from NASA space design to da Vinci’s nature studies, Calatrava’s creations are at once aerodynamic and organic in their associations. Natural forms and human movements inform a number of his projects, with a particular interest in the meeting point of equilibrium and dynamism. 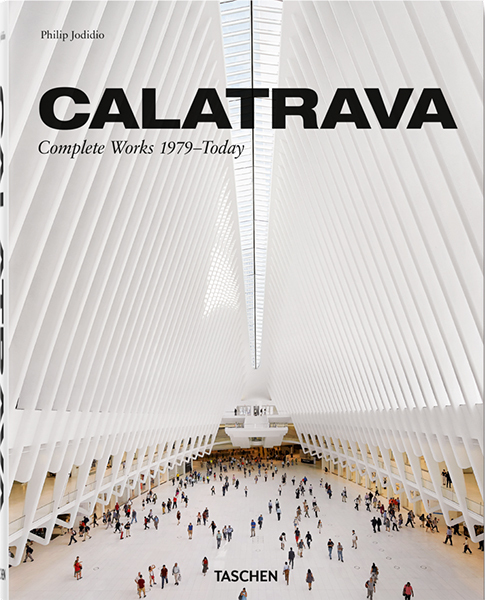 This updated monograph gathers detailed entries, photography, and the original watercolor sketches that set Calatrava aside as a unique creative master. It includes all of Calatrava’s original collaborative input, as well as new projects including the Mediopadana Station in Reggio Emilia, Italy, the Museum of Tomorrow in Rio de Janeiro, and ongoing works like the UAE Pavilion at Expo 2020 in Dubai.